Scheduled to feature in the July 2013 edition of The Classic MotorCycle in an article by Alan Turner, the Royal Enfield motorcycle combination offered here was ridden by Brian Nash and Bill ‘Willie’ Morris in the 1955 International Six Days Trial as part of the Civil Service Motoring Association (CSMA) team. 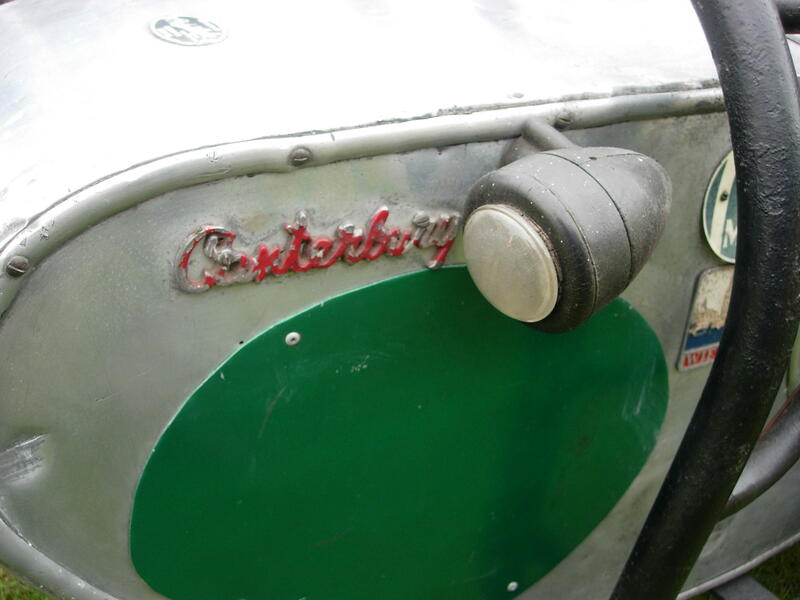 A keen sidecar competitor, Brian Nash had bought the Meteor in January 1954 and fitted it with Canterbury Sidecars’ first trials ‘chair’ (‘T/1’) which he bought from Reading dealers Stocker & Shepherd. Jack Stocker, an Enfield works rider and Brian’s friend, had been using it in trials and scrambles events, usually hitched to his own Royal Enfield Bullet. 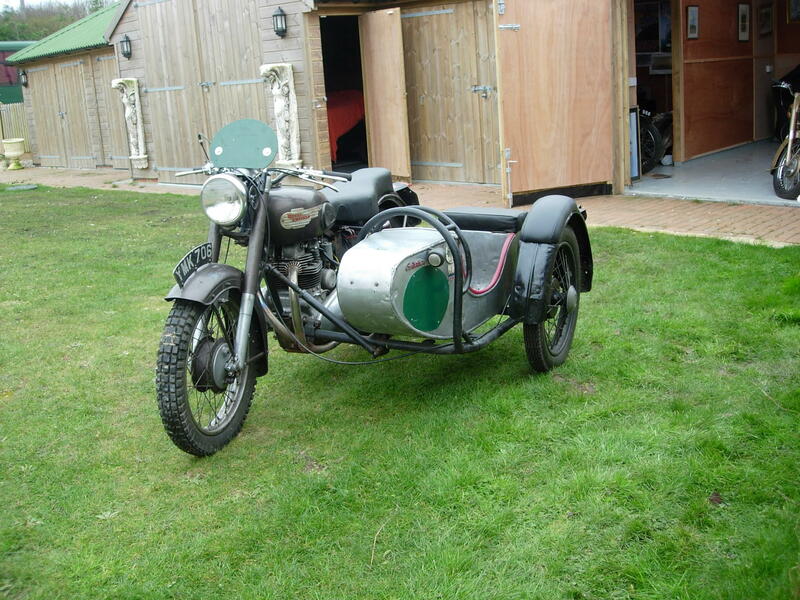 ‘VMK 706’ had been supplied by ES Motorcycles in Chiswick, who appear to have retained it as a demonstrator for ten months before selling it to Brian, while Pride & Clarke supplied the Canterbury sidecar. The CSMA’s plan to enter the 1955 ISDT was no small undertaking, as that year’s event was to be held in Czechoslovakia, a country behind the ‘Iron Curtain’ at the time. As well and Messrs Nash and Morris, the team consisted of Alan Perry (Matchless) and Frank Stevens (Triumph Tiger Cub). They were entered in the Vase competition, which permitted competitors to ride machines manufactured outside their own country, not that that applied to the patriotic CSMA boys. A copy of the event programme is in the history file. The machines were flown across the channel and then ridden through Europe to the town of Gottwaldov, where the event was based. It would turn out to be a disappointing experience for the CSMA quartet: Frank Stephens’ Tiger Cub shed its chain, losing him crucial time; Alan Perry crashed the Matchless and broke his ankle; and the Enfield outfit’s rear wheel collapsed and had to be replaced. By the end of Day 1, all three CSMA entries were out. They were in good company, for the arduous conditions would eliminate around half the 243 entrants by the end of the week. Frank Stephens later recounted their experiences for an article in the CSMA Gazette. A copy of the article is on file together with a selection of photographs taken at the ISDT. Back in the UK, Brian Nash was asked to take the outfit to the Redditch factory where the Competition Shop’s Charlie Rogers, a former works rider with considerable ISDT experience, made a number of modifications. Brian continued to use the Enfield in both one-day trials and long-distance events including the Land’s End, Exeter and Edinburgh trials, claiming numerous awards. 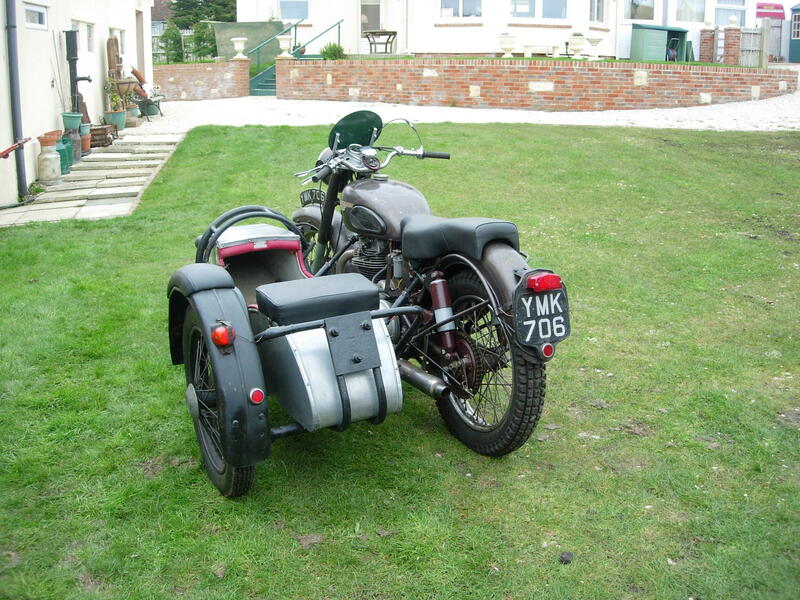 The combination was also ridden in the Silverstone High-Speed Trials. After Brian retired from active competition he continued to act as Clerk of the Course at club events, for which the Enfield proved an ideal mode of transport. Correspondence on file from Bill Morris reveals that the frame broke during this period. When Brian Nash passed away in the late 1980s, ‘VMK 706’ had been laid up for some time. The next recorded owner is one Reginald Hall, who acquired the ex-Nash Enfield in March 1996, followed by Julian Edwards from April 2008. 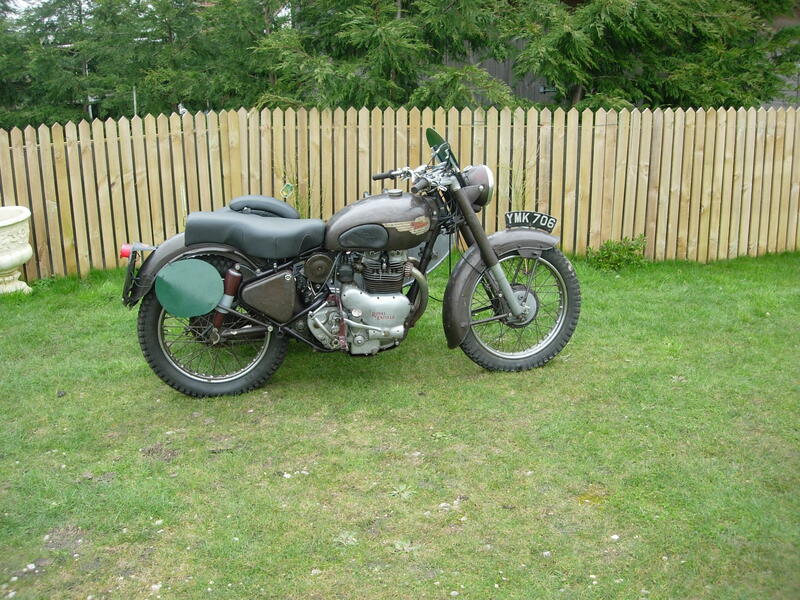 The current vendor, an enthusiastic collector and restorer of historic off-road motorcycles, knew of the machine and managed to buy it from Julian Edwards in June 2011. 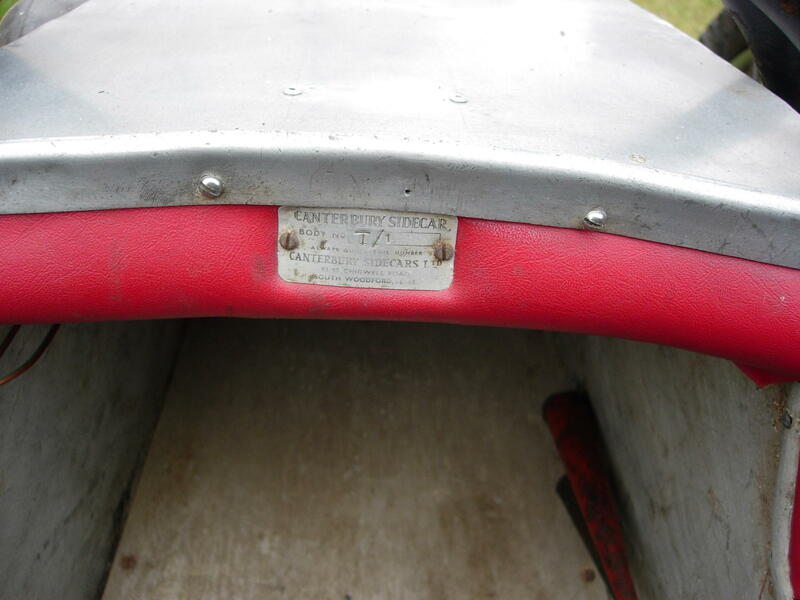 Preserved in remarkably good condition, ‘VMK 706’ had undergone a change of frame at some time but fortunately the original item, number ‘389’, came with it and is included in the sale. An engine strip-down revealed that no work was required, other than an oil change, and it was decided to simply check and clean the rest of the machine rather than undertake a rebuild to showroom condition, thus preserving its numerous ‘battle scars’. A list of all the remedial works carried out is on file. The Enfield’s ISDT heritage is illustrated by various special modifications including a bulb horn in the sidecar; extra-sturdy footrests; brackets for competition number plates; a spare ignition coil; wing nuts securing the valve covers; and a box spanner and tommy bar welded to the primary chaincase level plug. 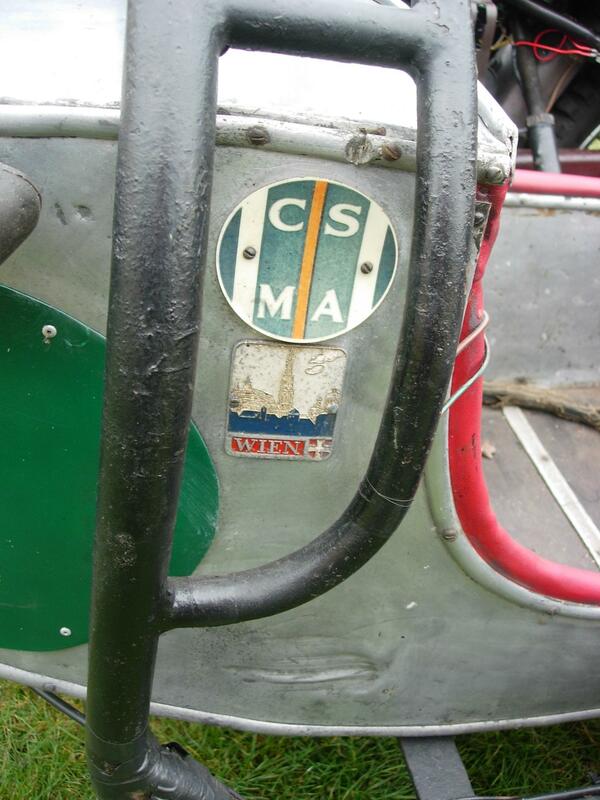 An old CSMA badge is still attached to the Canterbury sidecar. Its re-commissioning completed, ‘VMK 706’ is taxed for the road and described as in generally very good condition. Representing a rare opportunity to acquire a competition motorcycle possessing ISDT history, the ex-Brian Nash Royal Enfield is offered with the aforementioned documentation, its original old-style logbook and copy old/current Swansea V5C documents.